Felix has been Don Bosco Preparatory High School's head coach since 2008. In that time, he has doubled the size of the program and developed elite high school rowers. Some of which have gone to represent the United States junior national team. His team has won gold, silver and bronze medals at prestigious races including New Jersey State Championships, Philadelphia City Championships, Stotesbury Cup Regatta and SRAA National Championships. Prior to becoming the head coach at Don Bosco, Felix served as the varsity coach for Montclair HS from 2002-2007. His qualificaitons include a USRowing Level II Certification. ​While obtaining a Bachelor's Degree in Criminal Justice from Fairleigh Dickinson University, Felix rowed at a United States Junior and Senior Development camp based out of the Nereid Boat Club. He competed at prestigious regattas including the United States Club National Championships and the Royal Canadian Henley Regatta. Felix directs all operations from the NJ office communicating with the staff of coaches, parents, and rowers. He manages the daily logistics of each program while providing support for long-term development and stability of the organization. Alex is the summer program coordinator for the New York Rowing Association and currently serves as the Head Women's Rowing Coach at Manhattan College. Alex also established the rowing program at Saint Peter's Preparatory School and has served as head coach there since 2010. In that time, he has built a nationally competitive program at the Freshman, Lightweight, and Varsity levels. His rowers have gone on to represent programs like the United States Naval Academy, Syracuse, Colgate, Holy Cross, Hobart, Boston University, and the University of Wisconsin. His team has medals at prestigious races including New Jersey State Championships, Philadelphia City Championships, and they have taken home a Stotesbury Cup and a SRAA National Championship. Alex holds a USRowing Level II Certification as well as Red Cross first responder and professional rescuer training. Alex holds a Bachelor's degree in Chemistry from Loyola University in Maryland and a Masters in Educational Leadership from Saint Peter's University. While at Loyola, Alex was a Lightweight rower. He trained and competed in 2-'s 4+'s and 8+'s at the Metro Atlantic Conference Championship and Dad Vail Regattas as well as the regular season racing schedule. Summer 2017 was Alex's first at NYRA after having spent five years directing a resident children's camp in upstate NY. Alex has come to reside at NYRA to develop an innovative summer programs for juniors from Learn to Row up through competitive U19 and U23 racing teams. 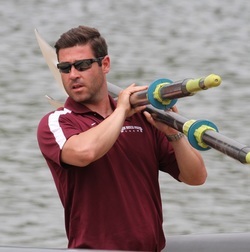 Scott began his rowing career at Don Bosco Preparatory High School in 2008 under head coach Felix DeCarvalho. During his time at Don Bosco, he was two year captain and featured in boats that won multiple medals at regattas such as the New Jersey State Championships, Philadelphia City Championships, and theStotesbury Cup Regatta. ​After graduating from Don Bosco, he then went on to the University of Delaware where he would graduate with honors with a degree in Exercise Scienceand a minor in coaching science. 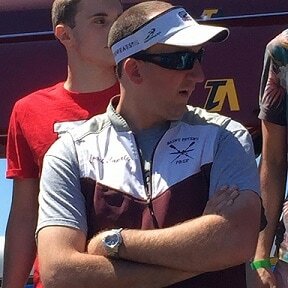 He rowed all four years as a member of the Delaware lightweight team under coach Chuck Crawford and amassed a winning record against schools such as Harvard, Penn, and Georgetown as well as featured in the first lightweight 8 in history to make the grand final of the heavyweight 8 at the ACRA national championships. He also spent the summer of 2015 competing for the New York Athletic Club during which time he medaled at the USrowing Club National Championships and appeared in the final of the Royal Canadian Henley Regatta.